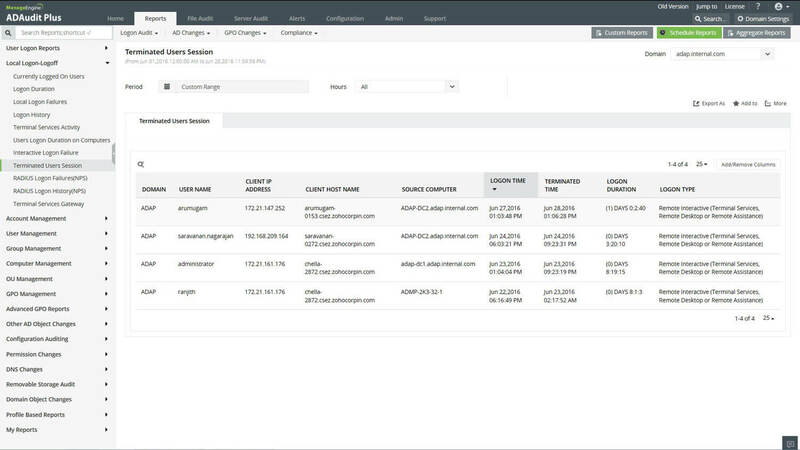 Administrators can view the exact time of users' Workstation logon and logoff time along with the logon duration. This critical data in the event of an unauthorized entry or regular monitoring is at the utmost ease to view with detailed reporting which helps prevent further wrong doing at the earliest. 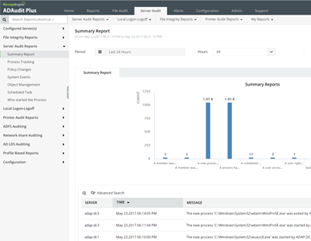 Reports can be scheduled for automated periodic reporting along with setting instant email alerts for critical changes. Processed event log data older than required can be archived and cleared from the working DB. 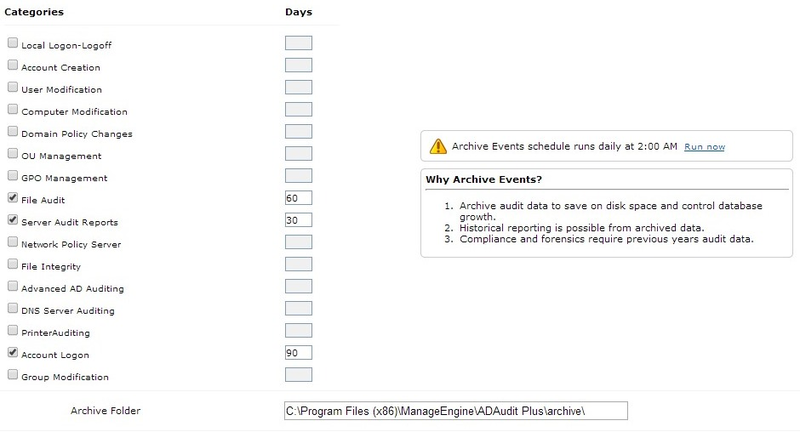 This can be done using the 'Archive Events' option in ADAudit Plus. Set periodic event cleanup schedules to compress events data. Archiving audit data helps to maintain an optimum size for the working DB. The archived data is required for historical reporting, for forensics and Compliance requirements. The audited reports can be exported to xls, csv, pdf and excel formats. 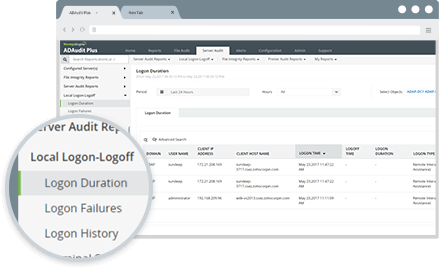 Choose from the 200+ pre-configured audit reports with automatic periodic report generation right to your inbox. 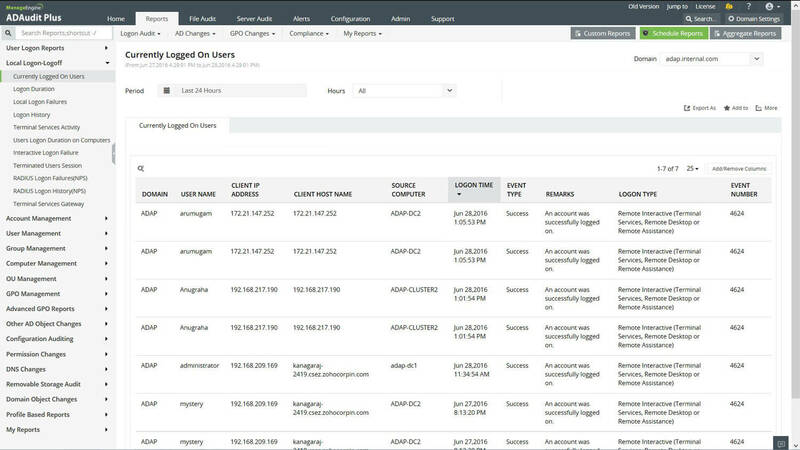 With 50+ Search Attributes, be ready to be empowered with detailed information, track Windows Active Directory object changes (Users, OU, Groups, GPO, Computer, Schema, DNS and System). Filter reports on business / non-business / all hours. 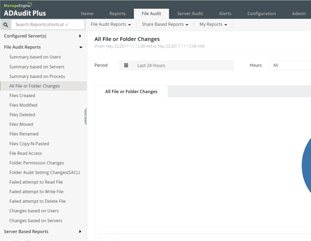 Create custom reports, set profile based reports and also, do historical reporting from the archived data for forensics. Instant on-screen alerts with emailing of alerts upon unauthorized network access / modification events. User, time and volume based threshold alerts help identify the problem precisely. 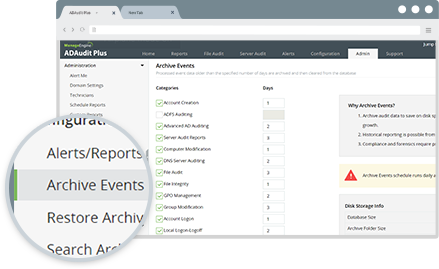 Shown here are the Workstation audit reports to give you a view into the details displayed and the various filters you can apply to further pin-point information.